The news out of Copenhagen today is how disagreements over the old Kyoto Protocol might influence the rest of the two-week discussions in the COP 15 United Nations Climate Change Conference 2009. Since we're focused on how these global talks might impact transportation, we noticed a report from the National Post that says green cars "are expected to get a big boost from the on-going international climate talks in Copenhagen." Specifically, some people expect the conference to result in a boost in eco-car production in the coming years. But weren't these changes coming anyway? Peugeot is using the conference to talk about how well it's been doing on the green car front already. The French company announced today that half of the vehicles it sold in Europe in 2009 emit less than 130 grams of CO2 per kilometer. 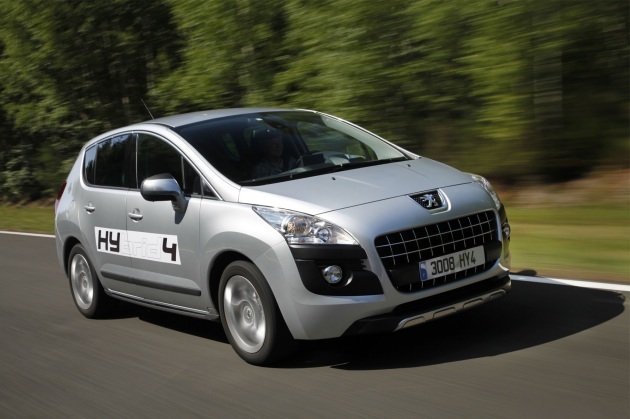 To fit in with the green vibes in Denmark, Peugeot also used COP15 to "confirm its commitment to provide future sustainable mobility and its actions to reduce the environmental footprint of its automobiles." Good on 'em. Also, it turns out that the first non-Fisker person to drive the Karma will be the Crown Prince of Denmark. Some guys get all the luck. COP 15: Green car round-up from Copenhagen originally appeared on Autoblog Green on Mon, 14 Dec 2009 18:09:00 EST. Please see our terms for use of feeds. 0 comments on "COP 15: Green car round-up from Copenhagen"